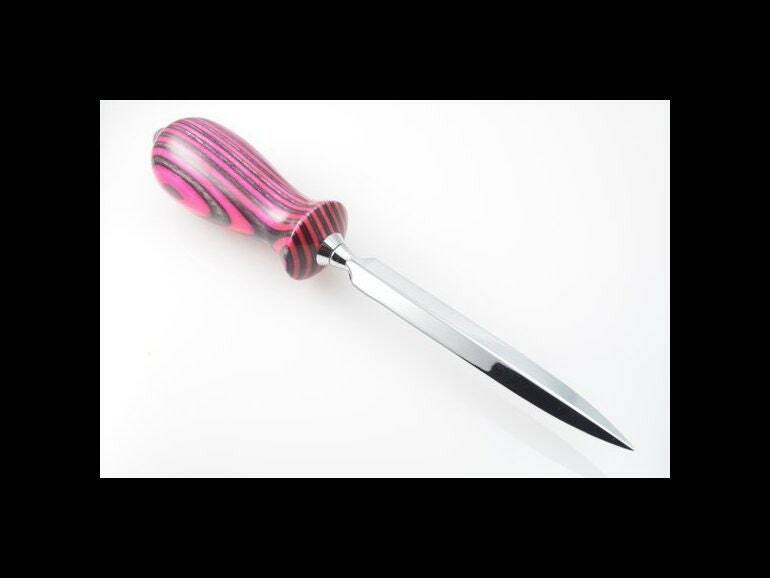 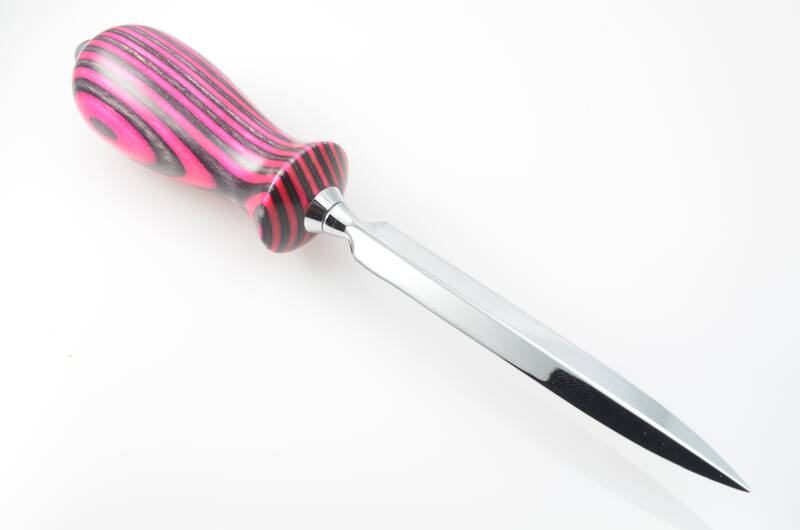 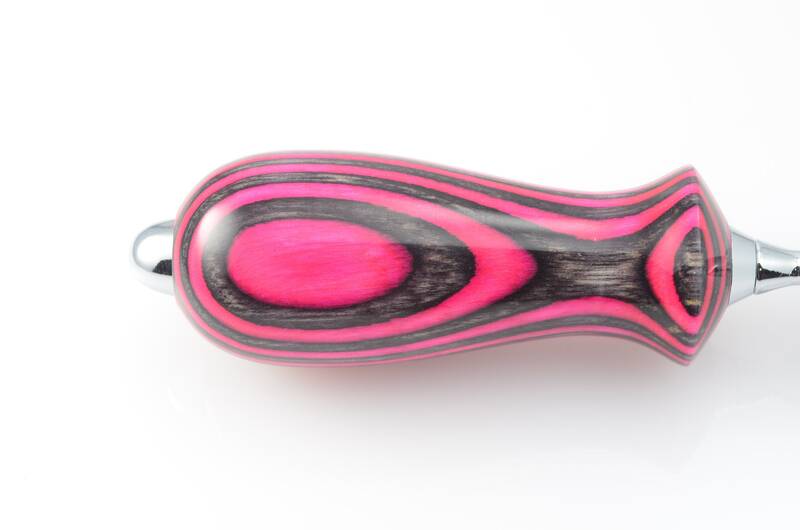 A classy pink and grey wood and chrome letter opener, to add a custom flair to any desk. 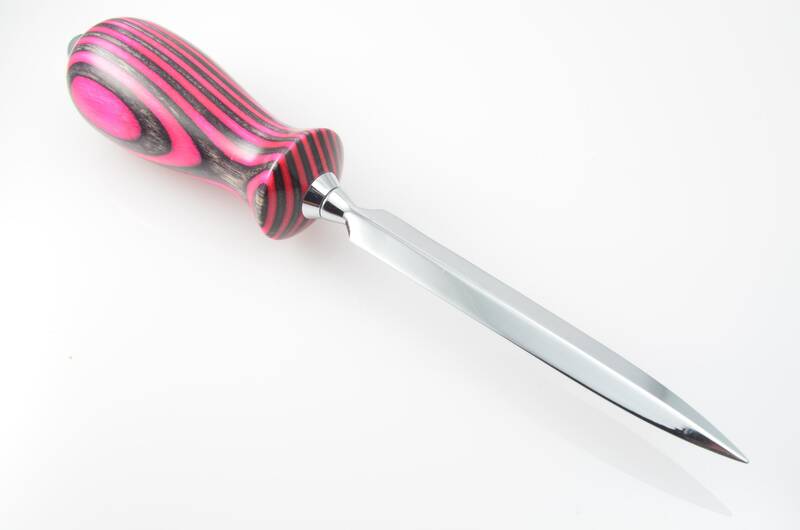 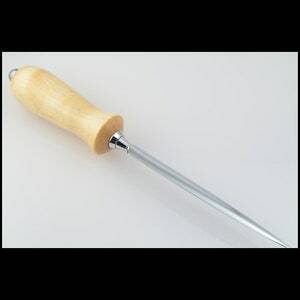 In a time when we don't know what is in the article of mail we are opening, a letter opener is definitely a better choice, than your finger, and as long as you are going to have one sitting on your desk, it might as well look good. 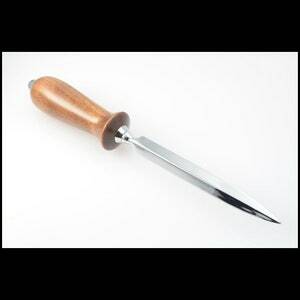 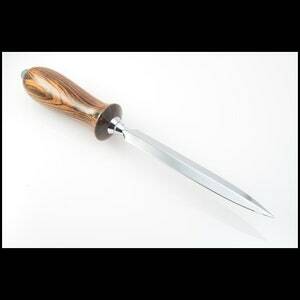 A fine letter opener can make a perfect gift for an executive, or your next door neighbor. 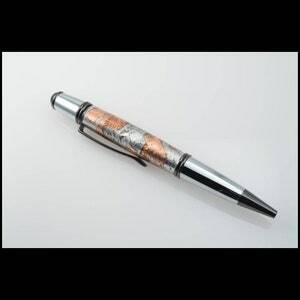 These can also make a special gift for a graduation, a promotion, or even a birthday.